A hospital trust's long-stay car parking charge has almost doubled overnight - costing visitors £10 instead of £5.75. 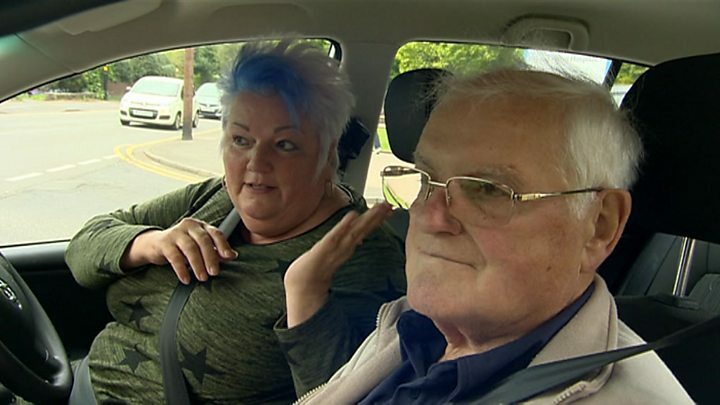 Visitors parking at three West Midlands hospitals run by Heart of England Foundation Trust say the hike came without warning. The new £10 tariff is for stays of more than six hours and up to 24 hours. The trust said users would benefit from a reduction in charges for stays of up to two hours. "The highest percentage of visitors" parked at the hospitals for up to two hours, the trust said. That figure, it added, amounted to 57.7%. In 2016, the trust topped the national league for charges, collecting £4,841,108 across the year. Car park users have criticised the move, with one saying her first reaction was "God, have I got to get a mortgage"? Others called the increase "disgraceful" and "extortionate". The changes came into effect on Tuesday. Under the new fees, a 30-minute stay is free, with stays of up to two hours costing £3, up to four hours costing £5, up to six hours costing £7, and up to 24 hours costing £10. The day before, there was again no charge for the first 30 minutes and a £2.75 charge for a stay of up to an hour. Other fees worked out as £3.75 for up to two hours, £4.75 for a stay of up to four hours, and £5.75 for a stay of up to 24 hours. A spokesperson said the changes were the trust's first since 2013 and it did not profit from car parking charges, with income redeployed to "fund capital projects, utility costs, security and a car parking management service". He added discounts were available to those visiting the hospitals for more than one day, with free car park use to those in receipt of income-related benefits. The hospitals affected are Heartlands, Good Hope and Solihull.